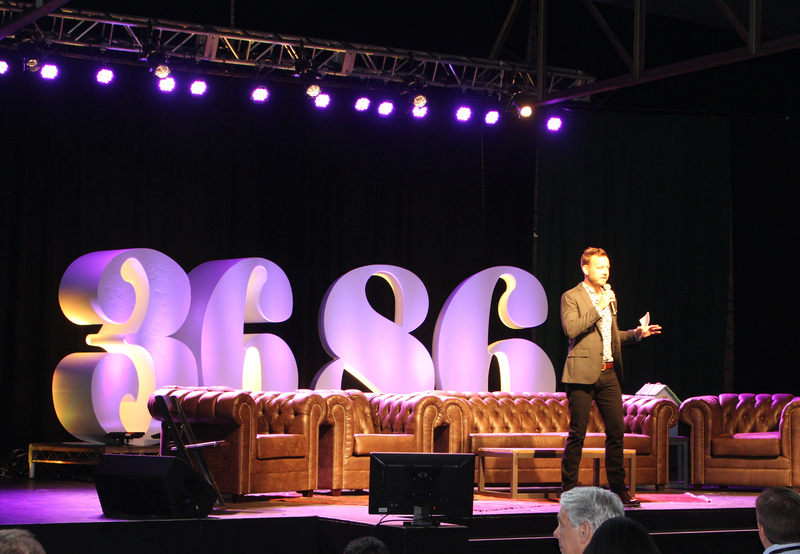 3686 was a tech conference, hosted and organized by Launch Tennessee. 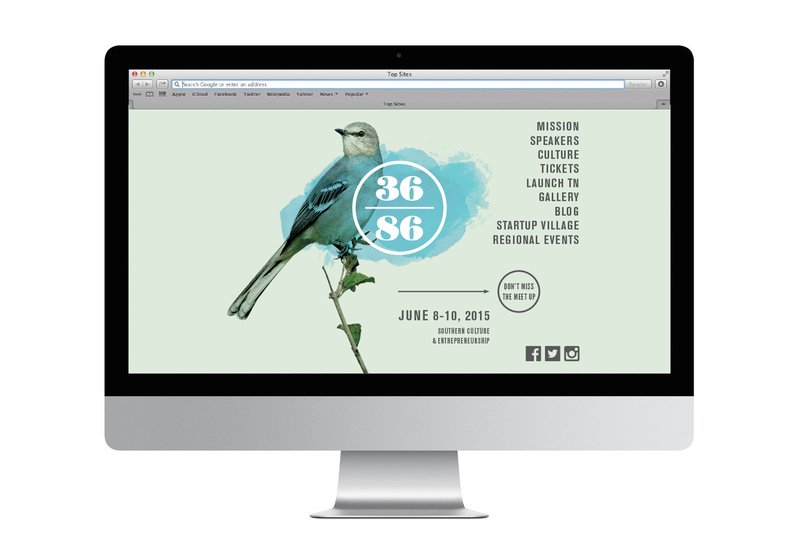 3686 is a reference to the lattitude and longitude of Nashville. 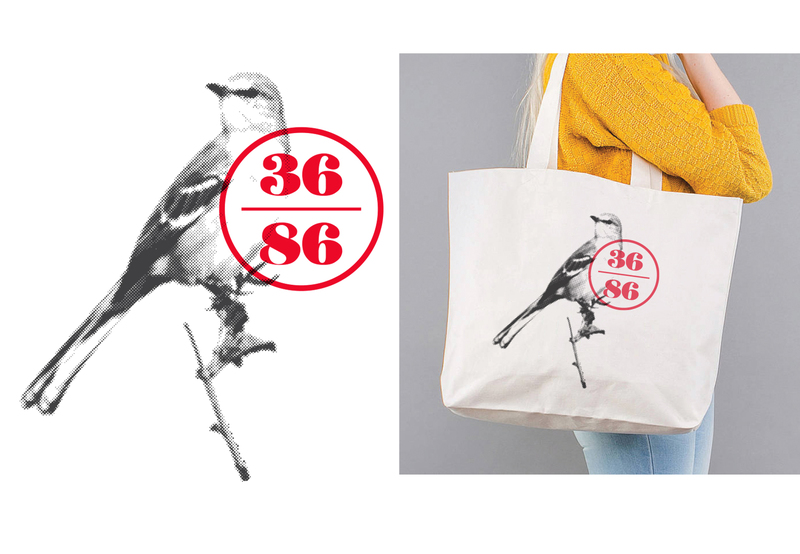 I put a bird on it. It happens to be the Tennessee state bird. There were satellite events leading up to the main event. 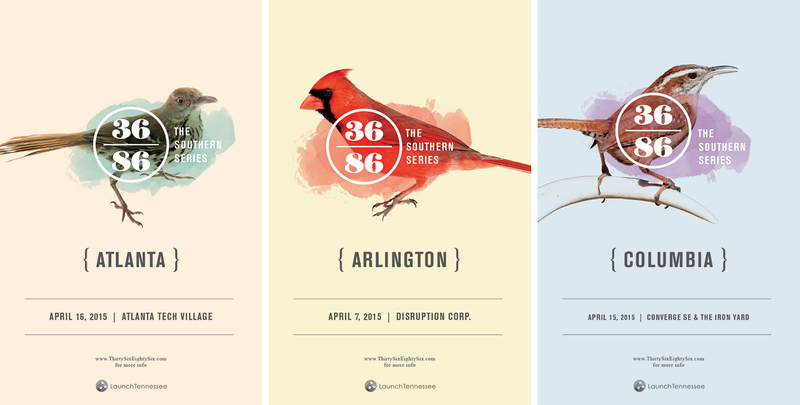 Each poster featured the state bird of the respective states. Here's how it would screen.